Saturday afternoon I came home to find a pumpkin next to my front door. Isn’t that sweet? 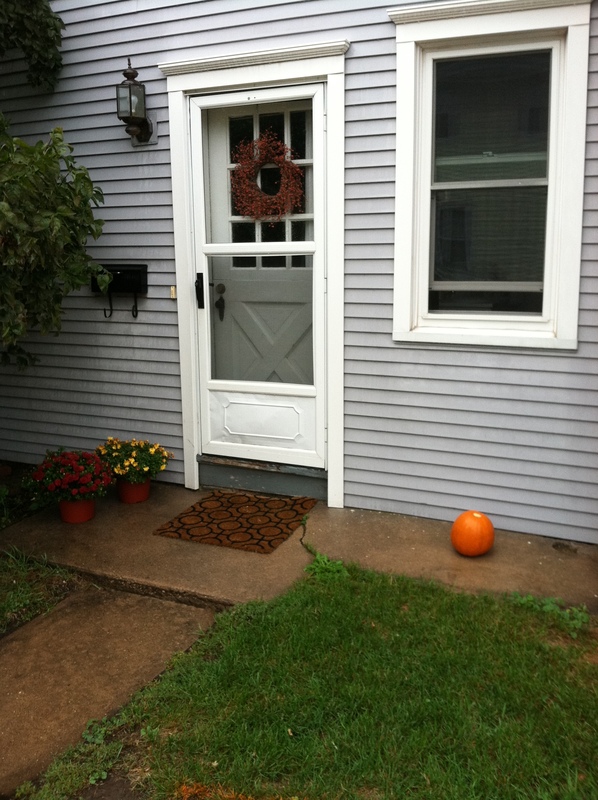 My upstairs neighbor left it for me and it got me in such a fall spirit I pulled out my fall wreath and put it on the front door and then decided it was high time to do some fall baking. Fall is for sure my favorite season by far. Mostly because of the food. I love all things relating to the squash and root vegetable categories. 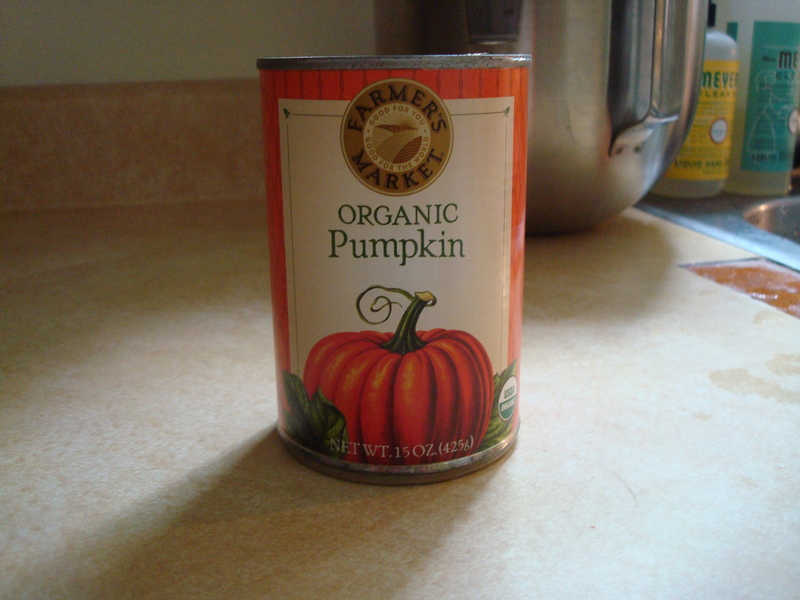 And while I am sad to see summer go I am more than happy to welcome back fall and all of the wonderful flavors it brings. About a month ago when it was approximately 92 degrees at 10 o’clock at night I came home to find a bat flying in circles in my living room. Bats do not belong in my living room. I immediately freaked out and shut myself in my bathroom calculating how long I could survive in there if need be. Fortunately I had my cell phone with me and was able to call for back-up. My friend volunteered her boyfriend to remove the bat from my apartment and that he did, ever so calmly. 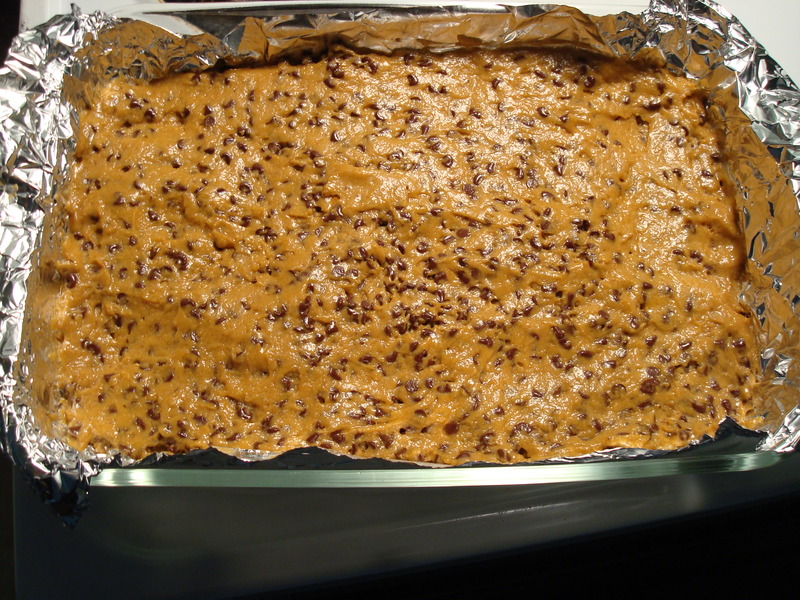 To thank him I bought him a 6-pack of beer and decided to bake him pumpkin chocolate chip square bars. Seems like a fair trade, right? Well, fortunately he seems to think so too. 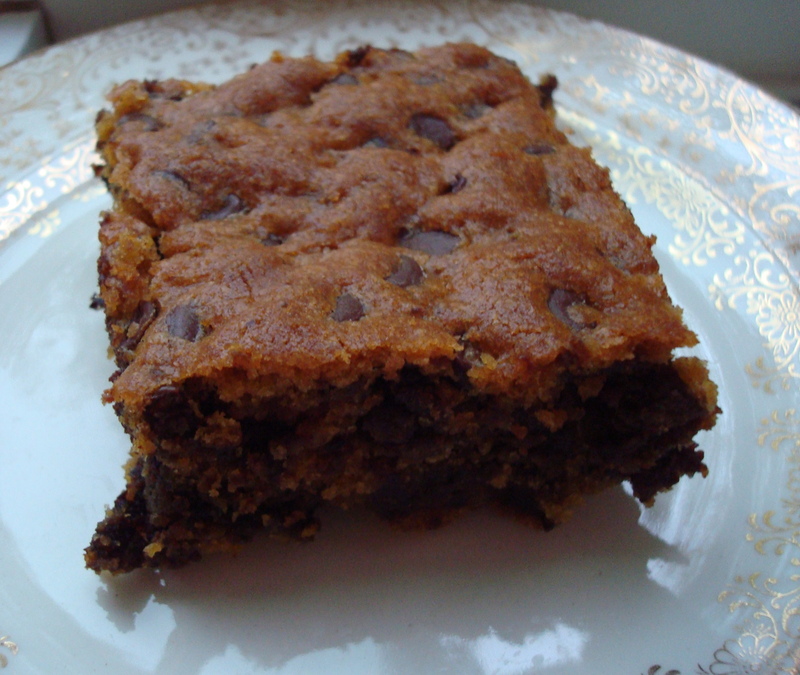 Pumpkin and chocolate chips compliment each other very well. I have also used both ingredients in pancakes and muffins and they were equally as tasty. 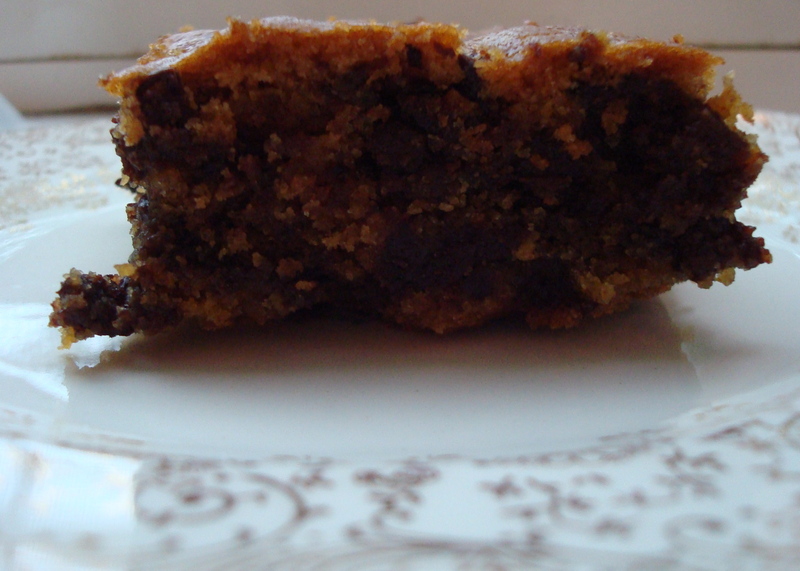 These bars are dense and sweet with the distinct fall flavors of cinnamon, nutmeg, ginger, cloves, and all-spice. One of my favorites!!! Think I’m going to bake these for my students. Thanks KJ!!! How are you getting by without an oven VLB? I know you love to cook!! !